Maritimo has discovered the X-factor with its new range of stylish, long-range luxury sport yachts with the first in the range, the X60, causing a sensation domestically and overseas. The Maritimo X60, which has been described as a game-changer in the competitive sports or sedan cruiser market, will be launched internationally at this year’s Sanctuary Cove International Boat Show, and already a company record number of pre-sale deposits on the model has been achieved. 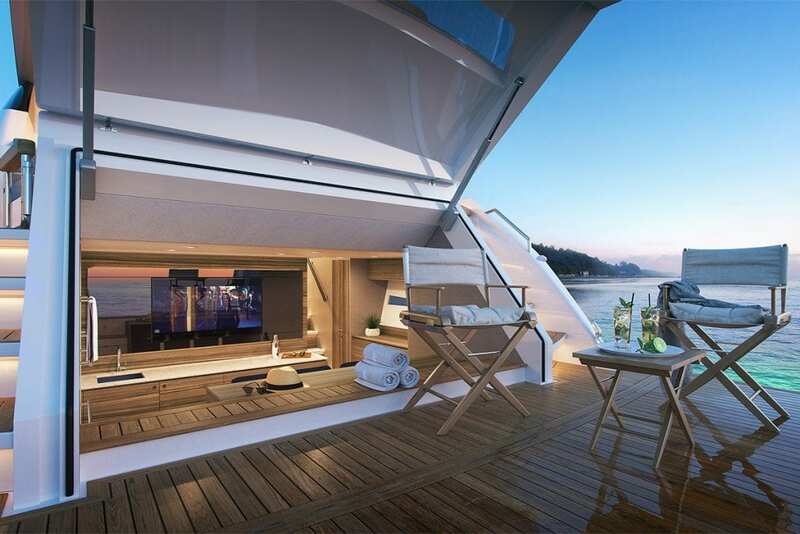 Maritimo’s Tom Barry-Cotter said a new alternate arrangement within the X60 living accommodations has been developed as a result of working closely with customers since concept development. The X60 now offers a ‘Regency Suite’ option that expands the owner stateroom of the vessel over multiple cabins. The Regency Suite option reduces the standard living accommodations from three cabin to two cabin, with the expansive king bed master cabin broadening into the starboard stateroom. “However the flexibility of the X60’s aft cabin easily enables the area to be optioned as a cavernous VIP guest cabin to be brought back to a three cabin arrangement,” he said. 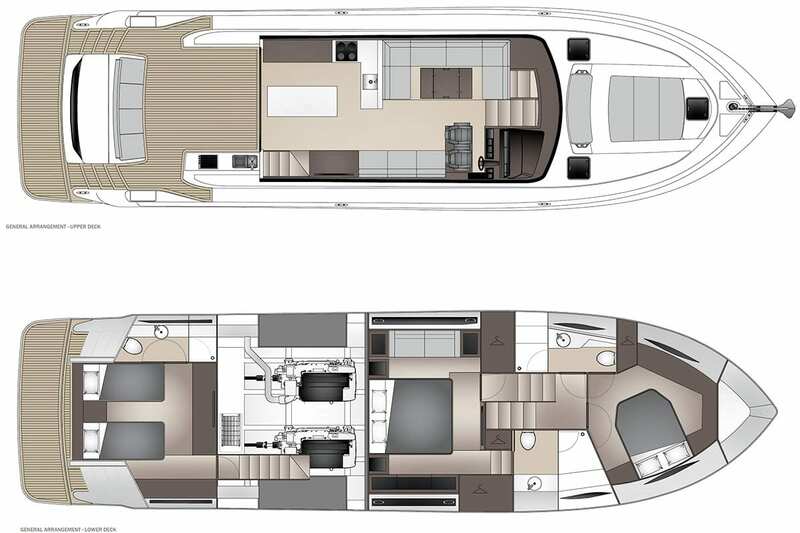 “Our R&D program has worked very closely with our customers in identifying user needs and how best to capitalise on the versatility of the X60 aft cabin design.” said Tom. Tom said the uniqueness and versatility of the X-Series is what has created the early momentum. There are multiple X-Series models in development and scheduled for release over the next 24 months, with information on these models to be released later in 2018.